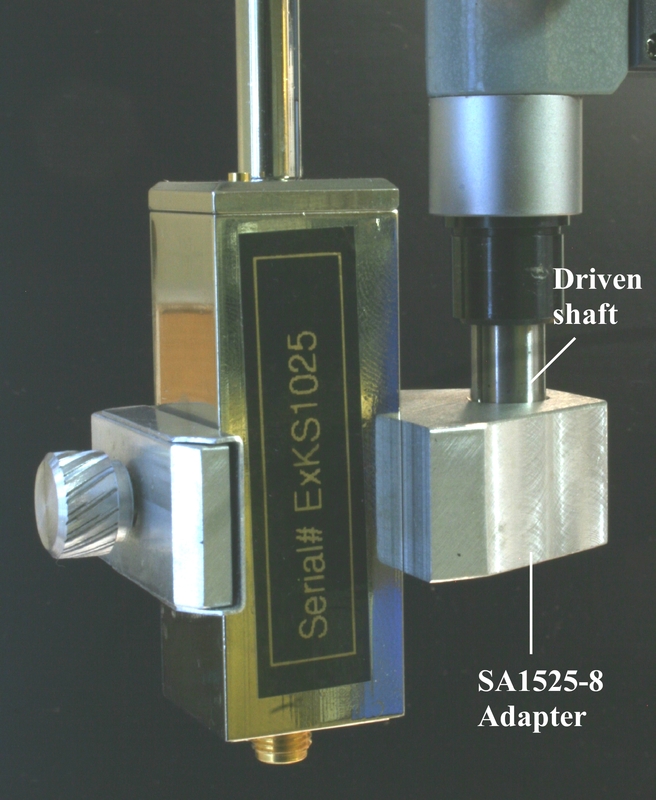 This direct drive, single-axis micropositioner is designed specifically for positioning microelectrodes or probes in a stereotaxic apparatus with speed and precision adequate in extracellular experiments. The system consists of a small footprint controller box, an easy to use handset and a slim drive unit mountable in most stereotaxic arm manipulators. An international power supply is included. 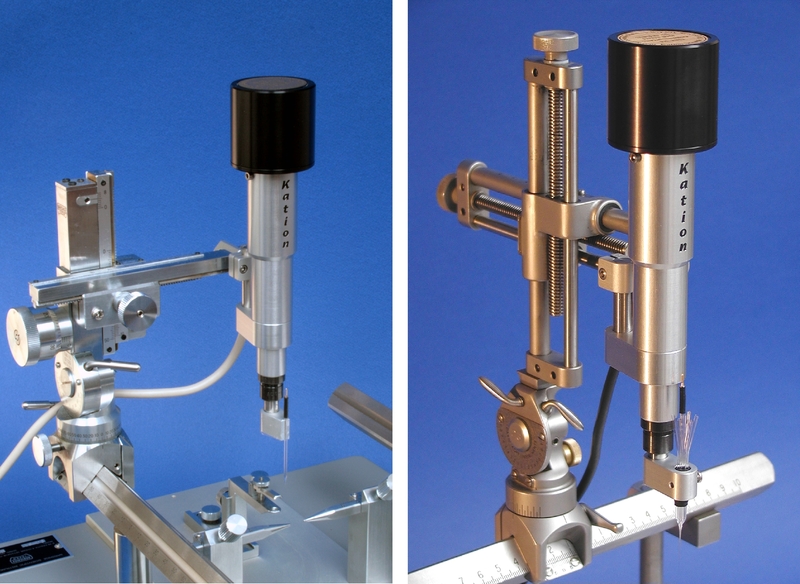 An economic yet professional solution for stereotactic positioning. Not for use in human applications. Kit includes handset, control and drive units, 4 probe adapters (SA1521 to SA1524, see below), external world-wide power supply and manual. Sold in a protective plastic attache case. Plug and play simplicity out of the box. The SA1525-8 adapter is sold separately. Speeds of 2 mm/s or 0.5 mm/s of advance or retract of the moving shaft of drive unit can be selected in either ‘Run’ or ‘Step’ mode of operation. Step (burst) size can be selected on the front panel in five stages ranging from 5 to 100 μm. Advance or retract moves can be initiated by the respective pushbuttons of the handset. The ‘Home’ position push button retracts the moving shaft to its uppermost (zero) position. The ‘Relative’ position button will initiate to measure distances in μm from that momentary position. The upper line of display shows the absolute distance from the uppermost position; the lower line displays the position relative to the site of pushing the ‘Relative’ button. Handset is connected to the control unit through a 55" (140 cm) long flexible cable. Our slender drive unit can be attached in virtually any stereotactic manipulator arm using its 8.0 mm diameter driven/moving shaft. The rotation of a high quality stepper motor on top is directly translated into linear move of the non-rotating shaft on bottom. 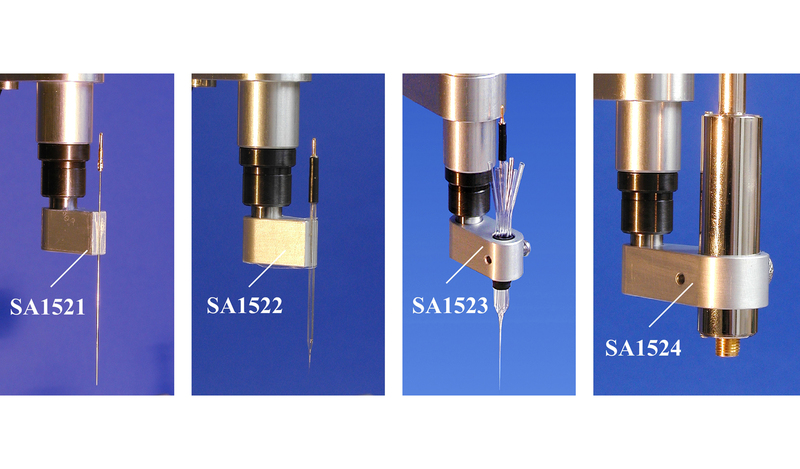 Various microelectrodes or probes can be fastened on the moving shaft using probe adapters listed below. SA1521 For Metal microelectrodes, 0.1 mm deep V-groove. SA1522 For glass micropipettes, 0.7 mm deep V-groove. SA1523 For max. 1/4" (6.4 mm) diameter multibarrel micropipette assemblies or similar diameter probes. Thumb screw. SA1524 For max. 14.3 mm diameter probes. Thumb screw. 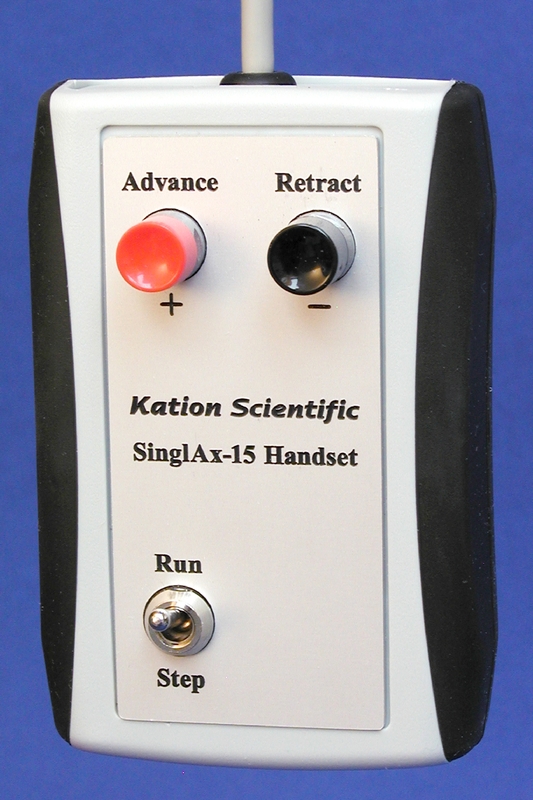 SA1525 For Kation-made M2111 headstage probe. 19 mm square opening. Thumb screw. Adapters SA1521 to SA 1524 are standard accessories of the SA1500 kit. However, the SA1525 adapter needs to bo ordered separately. See pictures on mounting examples in third party stereotaxic arms in the gallery.